For millennia now, humanity has dreamed of alchemy — turning base metals to gold. 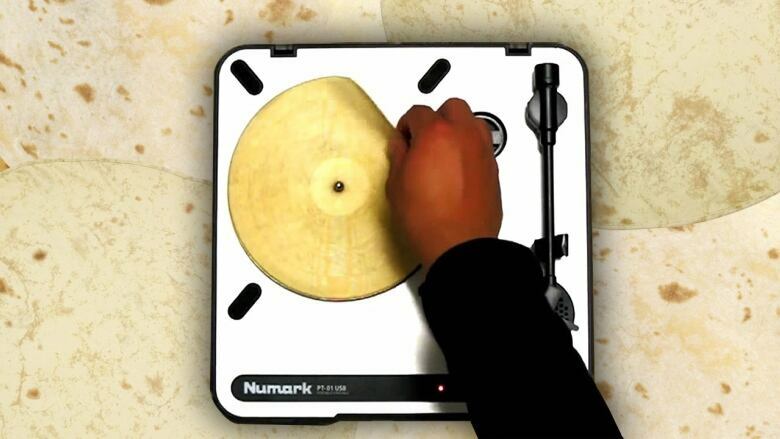 For maybe a couple of months now, humanity has dreamed of turning a tortilla into a 78 RPM record. And now, one of those dreams has finally become a reality. Not the alchemy one. On Reddit, the person responsible -- username UpgradeTech -- explained that an uncooked tortilla works best. You can also eat the tortilla record afterward, if you want, but it tastes kind of burnt because you have to use a laser to cut the grooves into it. Without further ado, then, the sound of a technological breakthrough we never thought possible, or thought of at all: "Mexican Hat Dance," etched into a tortilla and played on a phonograph. The sound of a tortilla turned into a record that plays "Mexican Hat Dance." The sound of the future.